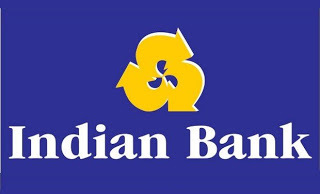 Indian Bank (A Government of India undertaking), Chennai invites applications from Indian Citizens for recruitment of Business Leaders (Chief Operating Officer and Head of Vertical) on Contractual basis. The last date for submission of online applications is 10th August 2016. About: Indian Bank, a leading Public Sector Bank, with headquarters in Chennai having Branches/Offices all over India and abroad. Minimum Educational Qualification: Degree in any Discipline from a recognized university. Chief Operating Officer -> 15 years and above exposure in Banking / Finance with minimum 10 years of experience in Mortgage Loans, MSME and Mid Corporate credit with proven track record of achieving business targets. Present / last held position should be in the capacity of Senior Vice President or equivalent in Banks / Financial Institutions. Head of Vertical (HOV) - Ind Retail Vertical -> 12 years and above exposure in Banking / Finance with minimum 10 years of experience in mortgage loans. Present / last held position should be in the capacity of Vice President or equivalent in Banks / Financial Institutions. Head of Vertical (HOV) - MSME & Mid Corporate Vertical -> 12 years and above exposure in Banking / Finance with minimum 10 years of experience in MSME & Mid Corporate segment. Present / last held position should be in the capacity of Vice President or equivalent in Banks / Financial Institutions. Application Fee: ₹ 1000/- for all the positions. How to Apply: Eligible Interested candidates are required to apply Online through Indian Bank Website on or before 10/08/2016.